The little sun makes the eyes close. All here unites. Soft quietness shines. Composed of gentle imagery and nurturing affection, the song sounds and reads like a typical lullaby, designed to calm children into repose. But Ilse Weber’s “Wiegala” (translated to “Lullaby”) has a much darker history. 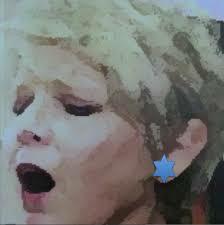 Weber wrote the song while imprisoned in Theresienstadt (Terezin), a Nazi concentration camp, during the Holocaust. Tasked with caring for Terezin’s children, she composed music to help comfort them under the camp’s severe living conditions. 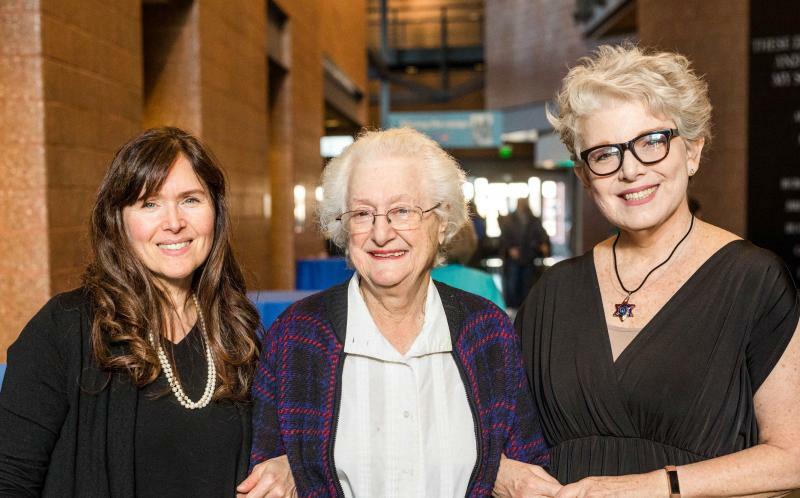 In a new University of Iowa project, “The Songs of the Holocaust,” Music professor and soprano Rachel Joselson revives music composed by Terezin inmates. Joselson collaborated with pianist Réne Lecuona, also a professor in the School of Music, part of the College of Liberal Arts & Sciences. 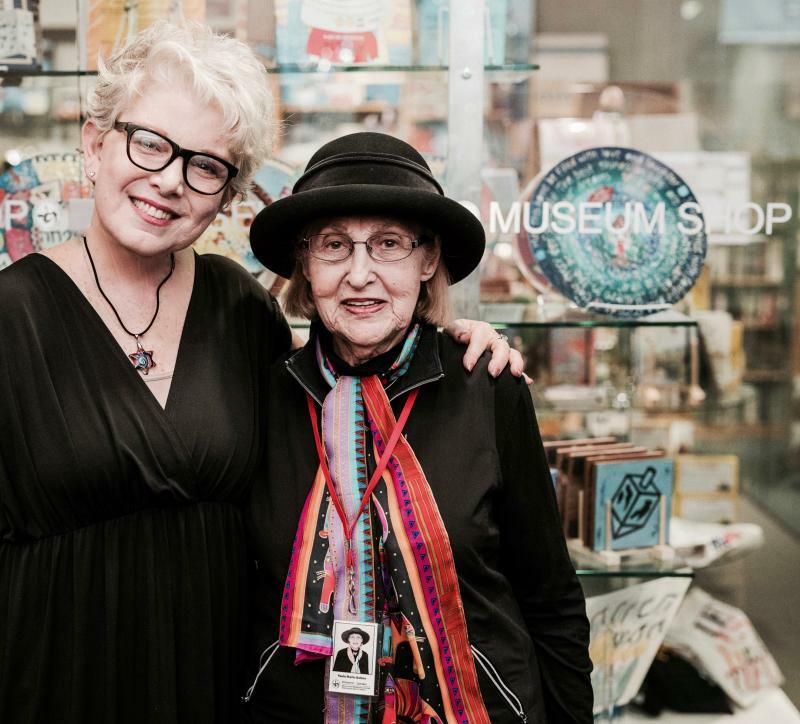 Violinist and UI associate professor Scott Conklin contributed on a song, and cellist and former School of Music lecturer Hannah Holman played on a song as well. The project began when Joselson, who is herself of Jewish heritage, heard a recording of a few songs composed at Terezin. Intrigued, she began to search for other works that were rarely or not yet recorded. "Into the dark, into misery"
University of Iowa History Professor Lisa Heineman—a scholar of 20th century Germany and the Holocaust whose own grandparents were interned at Terezin—said the camp had a particularly high number of artists and musicians, in part because of the population there. Many of the inmates were Czech Jews with advanced education, which typically included some training in music or art. Due to the rich cultural knowledge and skill present at Terezin, it lent itself well to being a “model” camp. The Nazis used Terezin to demonstrate to the world that conditions at concentration camps were fair. Faced with international pressure, German authorities invited the Red Cross to take a tour of Terezin. To prepare, they deported the oldest, sickest inmates, and spruced up the facilities with fresh paint and signage. The authorities then staged a tour, leading the Red Cross down an approved path within the camp—which included a concert by Terezin’s orchestra. The Red Cross left to write a positive report about Terezin’s conditions. Terezin was not a “death camp” with organized killing facilities, but over 33,000 people died from the living conditions. Of the 150,000 Jews sent there, over 84,000 were deported to their murders in other camps’ gas chambers. It primarily served as a transit camp, a way to organize Jews on their way to being systematically killed elsewhere. Those imprisoned might never know when a deportation was coming, leaving inmates in constant fear of being called on the transport list. To whom will it be read? Whom will it grab? Am I one of them? Am I not one of them? Passed over this time, the victims are three. There the transport will be over a thousand. Into the dark, into misery? Where will it go? Will we see our children there? The dire conditions of the camp and the deportations provided significant challenges for the musicians. For instance, on the eve of a performance, a large portion of the orchestra might be deported, Heineman said. Nonetheless, the Nazis allowed the performances, partly to use as propaganda or as evidence of humane conditions, such as with the Red Cross—but also likely because they viewed the concerts as harmless music made by elderly Jews, and not worth the effort of disallowing them. "The gate of gloomy night opens"
Terezin’s musicians were prolific, composing hundreds of pieces. Though used as Nazi propaganda, music still provided those in the camp a tool to cope. This was a common sentiment, according to the United States Holocaust Memorial Museum. “For many victims of Nazi brutality, music was an important means of preserving and asserting their humanity,” reads the web description of the museum’s Music of the Holocaust collection. The description notes that much of the period’s music was composed at concentration camps, particularly at Terezin. Many of the songs’ lyrics convey a feeling of loss, and some strive toward hope. Through deep of night will I then go to you. The result is an emotional experience for both performers and audience ﻿members, Joselson said. 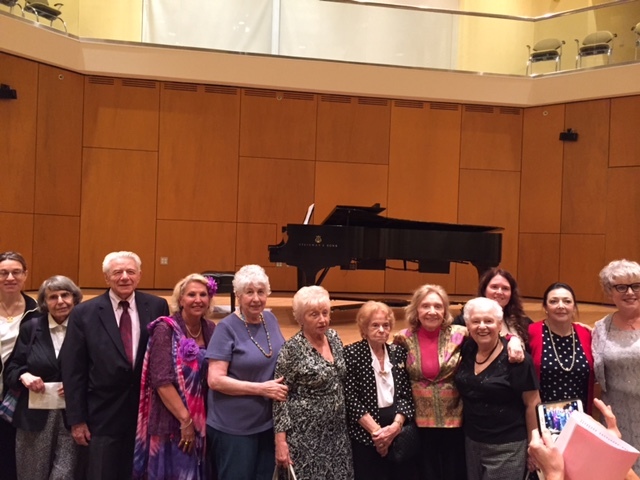 Nine Holocaust survivors—some of the last living survivors worldwide—attended a performance at Montclair State University in New Jersey. The chair of the university’s Department of Religion presented biographical tributes to each survivor before the music began. "I leave you fatherless behind"
One song, Für Ule is sung from the point of view of a father who realizes he will not be able to raise his child. I leave you fatherless behind. Humanity will be your father. You are faraway. I can’t see you. 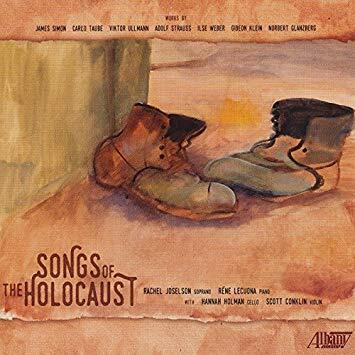 The musicians will perform the music of “The Songs of the Holocaust” at colleges, universities, and religious and human rights organizations for years to come, tying the University of Iowa and the state of Iowa with the important work done with the project. They will also perform at the United Nations for the General Assembly on Jan. 27, when the UN will commemorate victims of the Holocaust. Cuddle your little head in my arms. With mother one sleeps cozy and warm. Sleep, overnight a lot can happen. Overnight can all worry vanish. We have been invited to present at the Illinois Holocaust Museum and Education Center (Skokie), Colorado College, Montclair State, Chapman University, University of Nevada, Temple Beth Israel-Center for Jewish Life in Eugene, and Oregon State University in Corvallis. 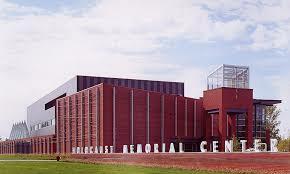 This December, we presented at the Holocaust Memorial Center in Farmington Hills, Michigan.